Our "Boxing Day" (day after Christmas) buffet- one leftover Tourtière is in the center, behind the mashed potatoes. (Tofu Pot Pie in the foreground, with my Seitan "Ham" to the L [and you can barely see the crusty homemade bread to the R]; mashed potatoes, "Ham Gravy", homemade cranberry sauce and chutney, red cabbage and apple coleslaw, and stuffing surrounding the Tourtière; and, at the very back, Sarah's cranberry chutney, SIL Ben's vegan sweet potato casserole, and some leftover sliced Seitan "Turkey" and gravy. Many of us bring with us Christmas holiday food traditions from our grandparents and parents, and their family backgrounds. If we’re part of a couple, our partner brings more, sometimes very different, traditions along. Unless both come from the same ethnic and religious background, there will be some compromising, and some making of new traditions. (I love this— it gives us more scope for experimentation!) 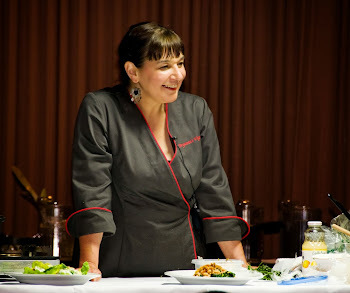 If vegetarian or vegan diet is in the mix, new culinary traditions must be found as well. If you have a mixed ethnic background, as I do, you probably choose what appeals to you from the different traditions in your family (or combined families). For instance, my father, Alejandro Jaime Urbina, a Peruvian of Spanish and Italian descent, fondly recalled the Panetón (the Peruvian version of Italian Panettone) that his Tia Maria baked in a brick oven in the central courtyard of his large, Spanish-style boyhood home in Lima. Because of his memories, I began making Panettone for Christmas many years ago, eventually devising my own low-fat, vegan version. 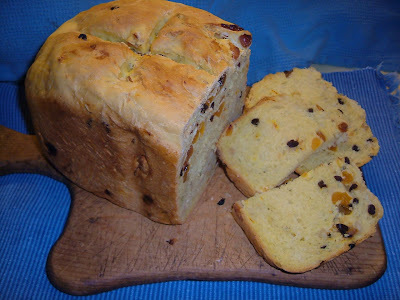 (Panettone is a rich yeast bread, slightly sweet, and flavored with citrus zest, dried fruit, anise and almonds.) I later discovered that my father’s Italian family, who immigrated to Peru from the Italian Riviera in the 1800s, may have been making Panettone Genovese, rather than the Panettone di Milano, which most Italians simply call Panettone. The Genovese version is not as rich as the Milanese version, and is flavored more exotically. It’s the inspiration for my own vegan version of Panetón, which I included in my book World Vegan Feast. This is a bread machine version of Panetón, from my book "World Vegan Feast". A newer tradition: My husband Brian, though not French-Canadian, was born in the province of Quebec and he was so happy when I came up with a vegan version of Tourtière (a special "meat" pie). It's an integral part of many Canadian Christmas celebrations now- certainly in our house, when we celebrate Réveillon, the Quebec Christmas Eve. This is something that I had never heard of before coming to Canada from the USA and, even then, because we lived in Western Canada, I had no real experience with it. 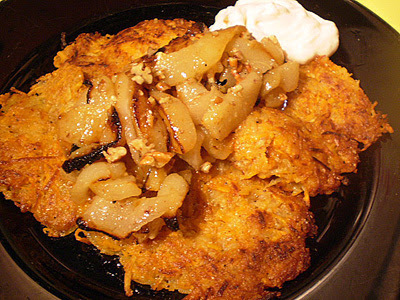 But over 20 years ago, I devised a vegan recipe for my book The Almost No-Fat Holiday Cookbook and have used that recipe all this time, although I usually use commercial vegan hamburger “crumbles” now, instead of ground seitan. This year I decided that it needed a make-over—more “oomph” in the flavor department. I also read about some versions of the pie that are made with oatmeal as the thickener instead of the usual potatoes, so I decided to try that, too. I made four pies (Brian’s always afraid that there won’t be any leftovers! ) and my new Tourtière was a big hit. Tourtière is traditionally eaten at any meal, hot or cold, with gravy, relish, chutney or ketchup (some members of our family have been known to eat it with hot sauce or salsa). This year I made a tomato-apple chutney that resembles an old-fashioned homemade Quebec accompaniment to Tourtière which is called French-Canadian “Ketchup”, but is chunky and a little spicy, made with tomatoes and fruit. I’ll post that recipe below, too. Tourtière is good any time of the year, and makes good picnic fare. The recipe can be doubled, tripled or quadrupled, and Tourtière freezes well. A Double crust of Low-Fat Oil Pastry (see below) or your favorite pastry. In a large heavy skillet over high heat (nonstick, if possible), saute the minced vegetables in the 2 oils over medium-high heat until the onion softens, adding drops of water as need to keep from sticking. Add the bay leaf, dried savory and rosemary and saute for a few more minutes. Stir in the hamburger substitute, the hot water mixed with the broth paste, red wine, rolled oats and ketchup. Simmer over medium-low heat, uncovered, for about 30 minutes, or until the mixture thickens. Remove the bay leaf and stir in the allspice, cinnamon, nutmeg and cloves. Taste for salt and add freshly-ground black pepper to taste. Smooth the mixture out on a baking sheet and place in the freezer to cool off quickly while you make and roll the pastry (see recipe below). Line a 9" pie dish with half of the pastry and fill with the cooled Filling (which should have thickened as it cooled). Cover with remaining pastry and trim and flute the edges. (I cut a star in the center this time with a little cookie cutter before placing the pastry on top of the Filling.) Cut slits in the top and brush with nondairy milk. Bake for 50 minutes. Cool on a rack. Serve warm or at room temperature with relish, chutney or ketchup (some members of our family have been known to eat it with hot sauce or salsa). Nutrition (per serving): 412.5 calories; 39% calories from fat; 18.7g total fat; 0.0mg cholesterol; 687.1mg sodium; 633.6mg potassium; 44.7g carbohydrates; 7.6g fiber; 4.8g sugar; 37.1g net carbs; 17.2g protein; 9.0 points. Nutrition (per serving): 309.4 calories; 39% calories from fat; 14.0g total fat; 0.0mg cholesterol; 515.3mg sodium; 475.2mg potassium; 33.5g carbohydrates; 5.7g fiber; 3.6g sugar; 27.8g net carbs; 12.9g protein; 6.6 points. If you have time, place the flattened dough in a plastic bag and refrigerate it for 30 minutes to an hour before rolling out. Divide the dough in half, roll out and bake the pastry as you would an ordinary crust. Tip: Roll the dough out on a lightly floured sheet of baking parchment– it never sticks! Nutrition (per serving): 195.6 calories; 48% calories from fat; 10.7g total fat; 0.0mg cholesterol; 184.1mg sodium; 123.6mg potassium; 22.3g carbohydrates; 2.2g fiber; 0.6g sugar; 20.1g net carbs; 3.7g protein; 4.4 points. This is easy to make and just spicy enough. Dump the canned tomatoes (juice and all) into a large pot and, with clean or gloved hands, squish the tomatoes with your fingers to break them up into small chunks. Add the remaining ingredients and bring to a boil. Turn heat down to a simmer and cook, uncovered, for about 45-50 minutes, or until it has a thicker consistency, almost like a chunky jam. Cool to room temperature. This will keep 3 to 4 weeks in the refrigerator, or you can seal it (while hot) into 6 half-pint canning jars and process in a boiling water bath for 20 minutes. Nutrition (per 1/4 cup serving): 71.0 calories; 1% calories from fat; 0.2g total fat; 0.0mg cholesterol; 162.6mg sodium; 211.7mg potassium; 18.7g carbohydrates; 1.3g fiber; 14.2g sugar; 17.4g net carbs; 0.7g protein; 1.2 points. 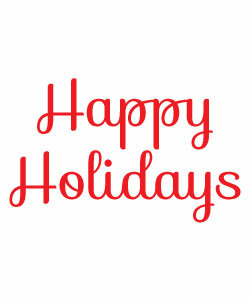 I want to wish Merry Christmas to all of my readers, who keep me inspired. 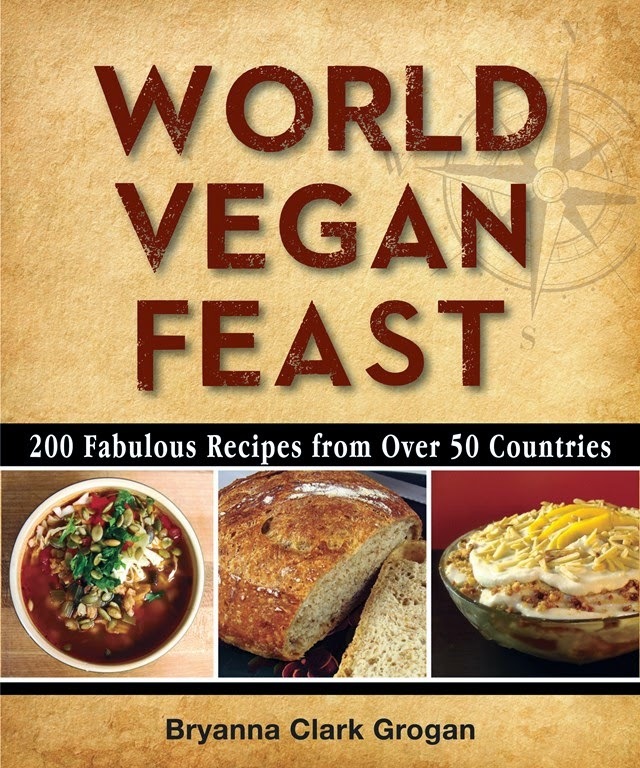 Here's one more holiday recipe I 'd like to share from "World Vegan Feast". This inviting and unusual bread pudding (from my book "World Vegan Feast"), which is traditionally prepared during Lent in Mexico, has its roots in old Spanish cookery. It is open to many interpretations and there are myriad recipes for it. 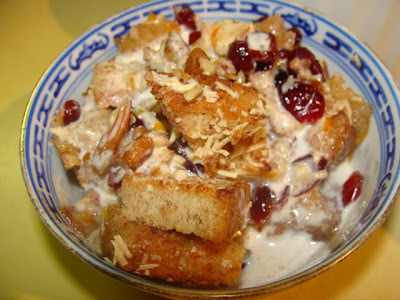 Capirotada is quite different from what most North Americans think of as bread pudding-- it contains no milk or eggs. Instead, the liquid is a sweet syrup mixed with mild cheese, making it an easy candidate for converting to a vegan version. My rather unorthodox Christmas version utilizes some very Canadian, as well as vegan, ingredients, such as maple syrup instead of the sugar syrup made from piloncillo (the traditional Mexican brown sugar sold in cones), dried cranberries instead of raisins, vegan mozzarella, and pecans instead of the usual peanuts and/or almonds. Preheat the oven to 350ºF. Spread the bread cubes on two 10 x 15-inch baking sheets and toast them for 10 minutes. 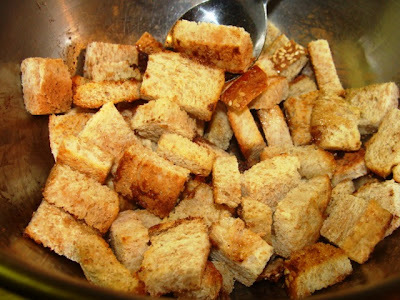 Toss the bread cubes with the melted vegan butter and cinnamon. 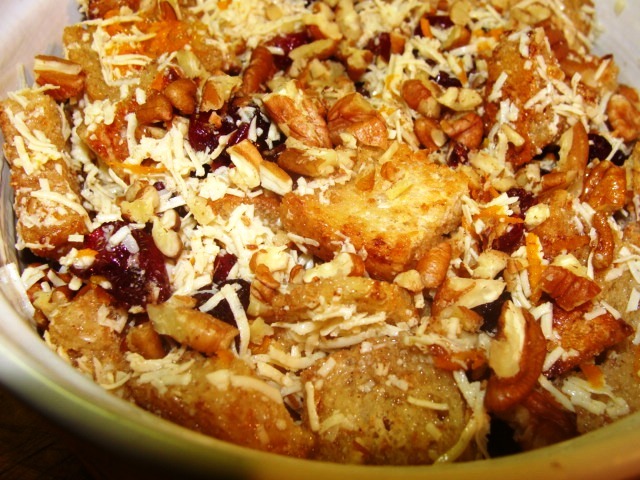 Combine them with the remaining ingredients, saving 1/4 cup of the pecans to sprinkle on top. Spread the mixture into an oiled 2-quart round casserole. 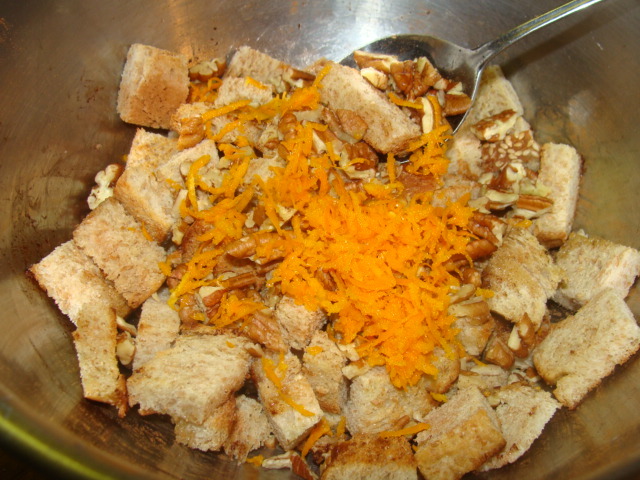 Sprinkle the remaining pecans on top. Bake the casserole, covered, for 35 minutes. Let the pudding stand, covered, for about 15 minutes before serving with your favorite commercial vegan creamer or Rich Vegan Cream (recipe below) or your favorite vanilla nondairy “ice cream”. Mix the milk, sugar and vanilla in a blender. With machine running, slowly add the oil in a thin stream. When all the oil is added, the milk will have thickened up a little. Pour the mixture into a container and refrigerate. VEGAN ESPRESSO & TRIPLE-GINGER CAKE FROM "WORLD VEGAN FEAST"
This ginger cake is the cosmopolitan cousin of the familiar gingerbread many of us grew up with. The cake itself is very light in texture (you would definitely not call this “bread”!) and infused with a generous amount of both fresh and ground dried ginger. Topped off with a fluffy espresso frosting and a plenty of sweet-hot organic candied ginger, this cake always gets rave reviews (and recipe requests) at potlucks and community get-togethers. Tasters are pleasantly surprised at the pairing of coffee and ginger and keep going back for more. But, really, how many times have we enjoyed a cup of coffee with a ginger cookie or a piece of gingerbread? It seemed like a match made in heaven to me and I think I was right. NOTE: If you have no instant espresso powder and you can make espresso at home, you can use 8 1/4 teaspoons cold liquid espresso as the TOTAL liquid and omit the nondairy milk. Tip: Organic candied ginger has a stronger ginger flavor and “bite” to it than the ordinary variety, so if you really like ginger, look for it! 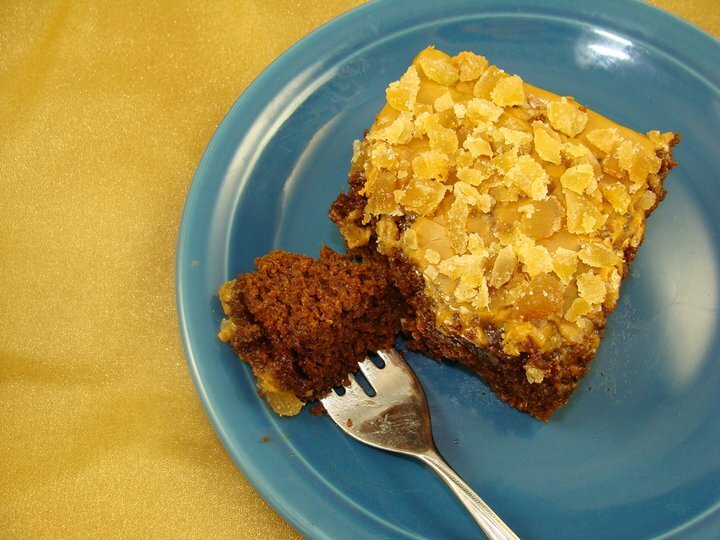 Oil a 9-inch square cake pan and line the bottom with baking parchment cut to fit. Preheat the oven to 350°F. In a large heatproof bowl, batter bowl or measuring pitcher, pour the boiling water over the vegan butter (or oil) and whisk until smooth. Whisk in the molasses, brown sugar, applesauce, milk and grated fresh ginger. In another bowl, stir together the flours with the baking soda, ground ginger, cinnamon, salt and allspice. Add this to the molasses mixture in two additions, stirring until smooth. Transfer the batter into the prepared pan and bake for 30 to 40 minutes or until a cake tester comes out clean when inserted into the center. Cool thoroughly on a rack. To make the Espresso Frosting, pour the boiling water into a large mixing bowl or the bowl of your stand mixer. Add the espresso or coffee granules and stir to dissolve. Add the vegan butter and milk. Whisk together well. With a hand-held electric mixer or the whip attachment to your mixer, gradually beat in the powdered sugar until the frosting is creamy and smooth. Spread it immediately over the top of cooled cake (not the sides) so that icing drips over the sides but does not cover them completely. Sprinkle the top evenly with the chopped candied ginger. Cut into 9 squares to serve. This is my first "Use-It-Up Tuesday" post-- a great idea from the Urban Vegan, Dynise Balcavage. The other day I experimented with a vegan omelette made with The Vegg, a new egg yolk substitute. I tried four different versions, two with tofu and two soy-free. The soy-free versions seemed too much like stiff crepes to me, so I abandoned that idea and ended up with a quick and easy tofu-based omelet with eggy flavor-- soft in texture, but strong enough to hold up to folding over a filling (recipe below). The tofu gives the VEGG mixture more substance-- it's too slimey by itself-- and the flours help the mixture set. When I was trying to decide how to use leftover omelette (Pheobe the dog is getting some of the "crepey" experiments for treats these days), fried rice came to mind immediately. I surmised that chopped, cold omelette would be perfect to use in place of the usual scrambled eggs in a fried rice dish-- or, in my case the usual scrambled tofu. 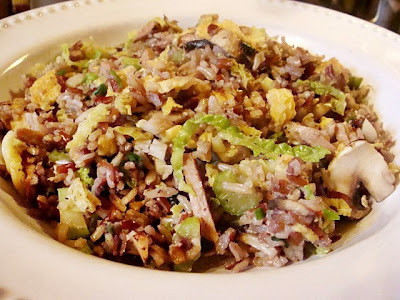 I also had some cooked brown basmati and red rice and Chinese vegan "ham" in the freezer, lots of green onions, savoy cabbage (didn't have any bean sprouts), celery and mushrooms (which needed using)... perfect for a fried rice dish with more nutrition than most versions, and a tasty use of leftovers. Below is the recipe for the new VEGG Omelette and below that is the fried rice recipe. I hope you enjoy them! Filling: I used some Daiya shreds (use whatever vegan cheese you like) and sautéed mushroom slices with red pepper strips, but use your imagination! Have your filling ready and kept warm before you begin cooking the omelettes, because they cook quickly. In a blender, process the water and VEGG powder until well mixed and a bit "gloppy"-looking. Add the remaining ingredients and blend until smooth. Scrape into a bowl or batter bowl. Heat your omelette pan (see tip above in recipe intro) over high heat with the oil or vegan butter. Use 1/2 cup of batter per omelette. Scoop it into the center of the pan and, using the back of a spoon or a spatula in a circular motion, evenly spread the batter outwards to make a circle that's fairly thin, but with no holes. 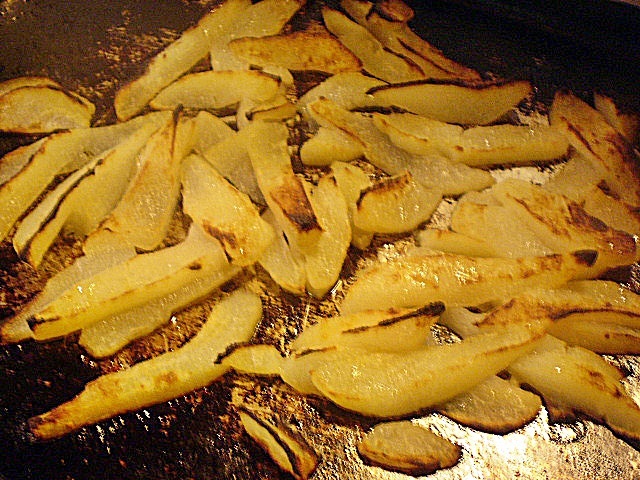 Cover and let cook for a couple of minutes, or until the top is set and dry and the bottom is golden and a bit crispy. Turn the heat down to medium or medium-low and place some of your Filling and vegan cheese (if you are using it) over one half of the circle, then use the spatula to fold the other half over the Filling. Cover the pan again and leave for a minute or two to melt the cheese. Slide onto a warm plate and repeat with the remaining batter. Leftover omelet can be folded or rolled like a crepe and refrigerated. 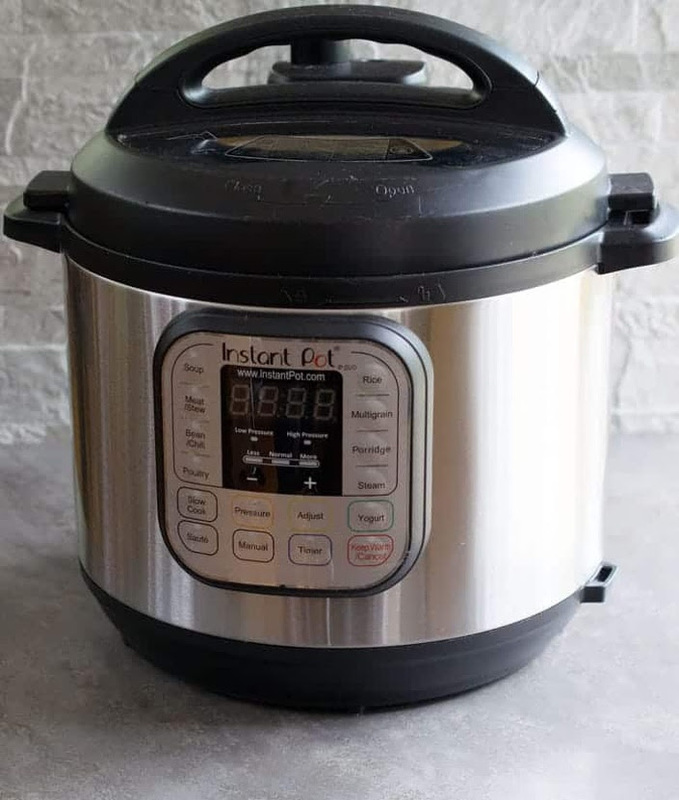 It can be quickly microwaved and filled for another meal, or used chopped while cold and used in the Fried Rice recipe (or any fried rice) below. Rice is normally eaten plain in China, but occasionally a savory (or "fried") rice dish will be made with leftover rice and other bits and pieces. This type of dish was made popular in Chinese restaurants in North America, so, like the flat egg foo yung omelettes in brown sauce, and ubiquitous chop suey, fried rice is really a Chinese-American dish. 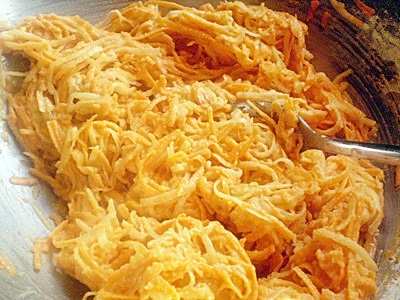 However, it is well-loved and can be very delicious. Savory fried rice doesn't need to be greasy and it should be seasoned with salt or just a little light soy sauce-- most American versions are too heavy on the soy sauce. You can use the suggestions I have made in the recipe, or change it to suit what you have on hand. Fried rice invariably contains scrambled egg, which can be replaced with scrambled tofu (or the quick version below the recipe), but I think leftover vegan omelette (recipe above) works even better. 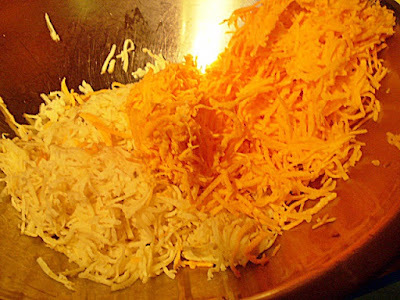 TIP: The rice should not be freshly-made-- it should be cold so that it is a bit dry and separates easily. I prefer Savoy cabbage in this dish because it's more tender than regular green cabbage. DIRECTIONS: Heat a large heavy wok, skillet or stir-fry pan over high heat. When it's very hot, add the 1 tablespoon oil. When the oil is hot, add the vegetables, garlic and "ham" or alternate. Stir-fry for several minutes, or until the cabbage starts to wilt, scraping the bottom of the wok with a metal spatula and adding squirts of hot water from a squeeze bottle if it starts to stick to avoid the need to use more oil). Add the cold rice, breaking up any clumps. Add the sesame oil, salt and a few grindings of pepper, and keep turning the mixture with a spatula until the rice is heated through-- again, scraping the bottom of the wok with a metal spatula and adding squirts of hot water from a squeeze bottle if it starts to stick to avoid the need to use more oil. Add the chopped Omelette to the pan and stir-fry until everything is well-mixed and hot. Serve immediately. Any leftovers can be refrigerated and reheated. 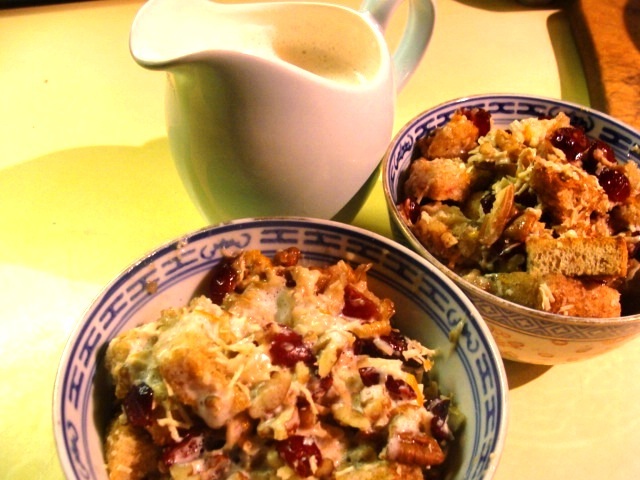 Mix the crumbled tofu with the other ingredients. Heat a lightly-oiled nonstick or cast iron skillet over high heat. Add the tofu and keep turning it with a spatula until it turns a bright scrambled egg color and dries out to your satisfaction. Set aside. 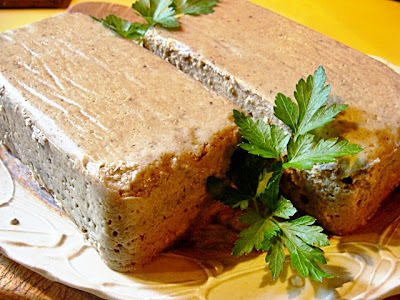 Homemade Vegan "Liverwurst", from my book "World Vegan Feast" ready to be served with pumpernickel bread, whole grain crackers, rye crisp, or crudites at a holiday party. 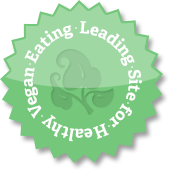 I confess that I really liked liverwurst in pre-vegan days. And, judging by the recipes and info online, I am not alone. 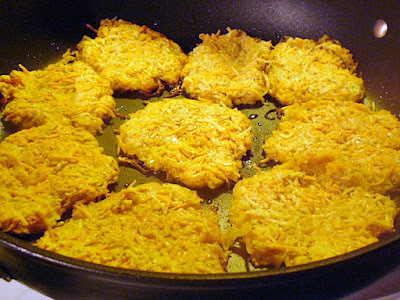 I devised a recipe that tastes very much like it, in my opinion (and in the opinion of some real German testers), but involves no meat, is easy to make, can be frozen, and has a wonderful flavor. It makes good sandwiches, too and is great to have in the refrigerator during the summer, for a quick meal or an appetizer. The recipe is seasoned the way I like it, but some German testers also added a bit of ground cloves and cardamom. 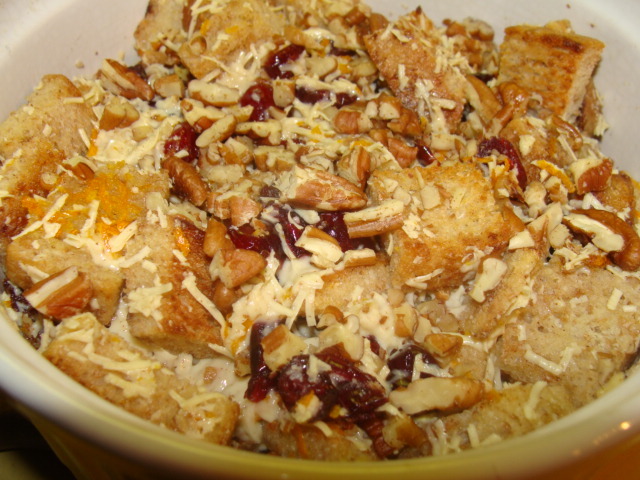 Note: You will need two nonstick 5 3/4 x 3 x 21/8-inch fruitcake/mini loaf pans for this recipe. Alternatively, you can use a 8-inch round cake pan for the whole recipe. 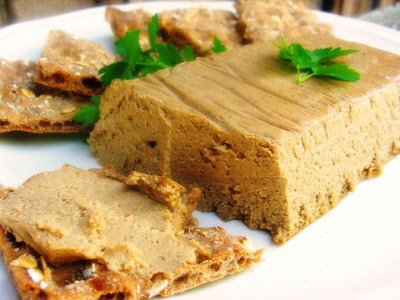 With an easy addition, this can be turned into A VEGAN "braunschweiger", which is a smoked "liverwurst". If you liked braunschweiger in the past, just add a little liquid smoke (see NOTE below) to taste, starting with a 1/2 teaspoon. Preheat the oven to 350°F. Oil two nonstick 5 3/4 x 3 x 2 1/8-inch fruitcake/mini loaf pans or an 8-inch round cake pan liberally with the dark sesame oil and line the bottoms with baking parchment cut to fit. Oil the parchment, too. 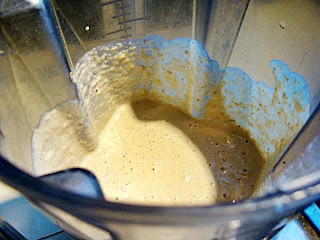 Combine all of the ingredients in a blender (preferably) or food processor and blend until very smooth. 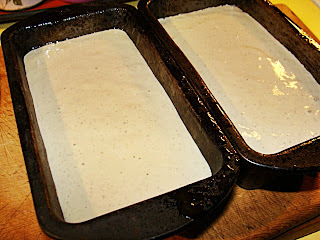 Divide the mixture between the two prepared nonstick 5 3/4 x 3 x 2 1/8-inch fruitcake/mini loaf pans or 8-inch round cake pan. Smooth the tops evenly. Cover each pan with foil (oiled on the part that will touch the liverwurst mixture). Place the pans inside of an 8 x 12-inch shallow baking pan with about 1 inch of hot water in the bottom. Bake for 1 hour. 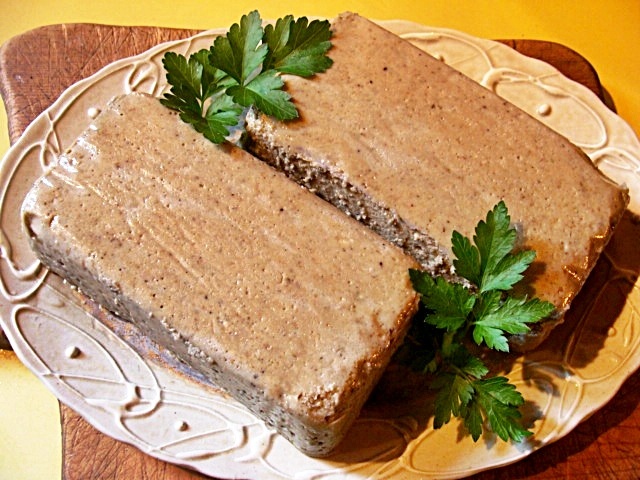 Cool the liverwurst in the pans on a cooling rack until firmly set. Carefully loosen around the sides of the pans with a table knife and invert them onto a platter. Cover the plate with plastic wrap and refrigerate for up to a week. If you would like to freeze the liverwurst, cut them into whatever sizes are useful for you, wrap well with foil, then place in a zipper-lock bag, seal and freeze for up to three months. Nutrition (per serving or 1/ 8th of a loaf): 61.6 calories; 39% calories from fat; 2.9g total fat; 0.0mg cholesterol; 148.9mg sodium; 182.5mg potassium; 5.6g carbohydrates; 1.4g fiber; 0.9g sugar; 4.2g net carbs; 4.4g protein; 1.2 points. What is liquid smoke and how is it made? We were among the many people who assume that there must be some kind of synthetic chemical chicanery going on in the making of "liquid smoke" flavoring. But according to the Colgin Company (which has been bottling liquid smoke since the 19th century), that's not the case. Liquid smoke is made by channeling smoke from smoldering wood chips through a condenser, which quickly cools the vapors, causing them to liquefy (just like the drops that form when you breathe on a piece of cold glass). The water-soluble flavor compounds in the smoke are trapped within this liquid, while the non-soluble, carcinogenic tars and resins are removed by a series of filters, resulting in a clean, smoke-flavored liquid. Curious about the manufacturing process for this product, we wondered if we could bottle up some smoke for ourselves. To do this, we created a small-scale mock-up of the commercial method, involving a kettle grill, a duct fan, a siphon, and an ice-chilled glass coil condenser. In a comparison of homemade and store-bought liquid smoke, homemade was praised for its clean, intense, smoky flavor. But we spent an entire day and $50 on materials to produce 3 tablespoons of homemade liquid smoke. Commercial liquid smoke is just fine, especially if you avoid brands with additives such as salt, vinegar, and molasses. Wright's Liquid Smoke ($2.99 for 3.5 ounces) is our top-rated brand and contains nothing but smoke and water."